(Newser) – She was in her early 20s when she received an Oscar nomination for her very first film, and from there Sondra Locke went on to act and direct for the next 30 years. Her longtime relationship with Clint Eastwood in the '70s and '80s earned her even more headlines, the match being described as "contentious" by Variety. Now, the LA County Public Health Department confirms the 74-year-old actress died Nov. 3, with her death certificate indicating her cause of death as cardiac arrest from bone and breast cancer, per Radar. Locke, who was born Sandra Louise Smith—it was said she later changed her first name to Sondra so people wouldn't call her Sandy—was plucked out of hopefuls from around the country in 1967 to co-star in The Heart Is a Lonely Hunter, opposite Alan Arkin, and it was that film that garnered her a best supporting actress nomination for the 1969 Academy Awards. There are 100s of thousands, if not millions, of truly gifted actors (including actresses). She did extremely and exceptionally well in her career and life. Am I suppose to feel sorry for her? If I were to speak at her funeral, I would speak of her accomplishments, not her woes. 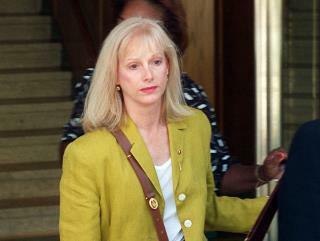 Sondra Locke may have been the worst actress to ever receive an Oscar nomination. I've seen elementary school children with a better delivery and more soul. I remember her from the movies that she was in. May she rest in peace.